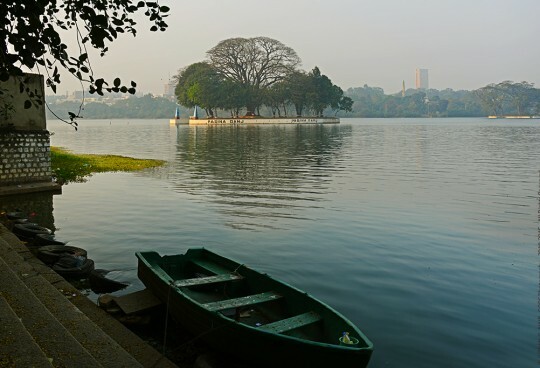 The Chola Dynasty (300 BC – 1279 CE) of Southern India were followers of Shaivism and great patrons of arts, literature & poetry . 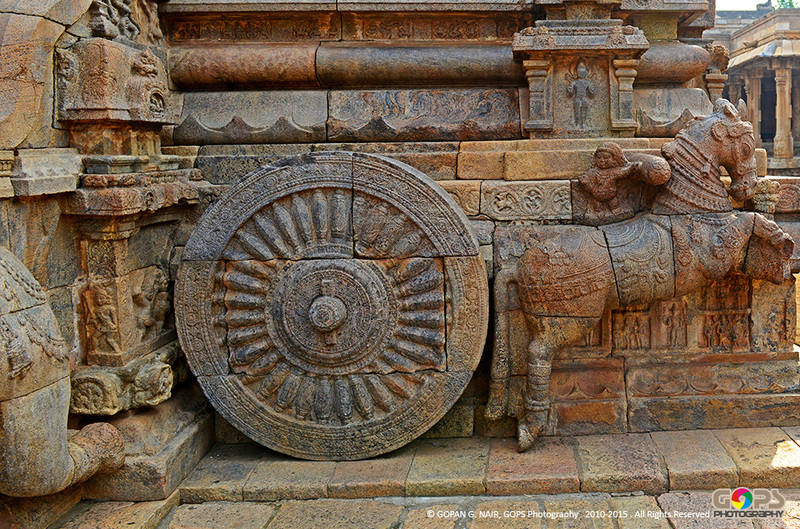 Chola Kings (Tamil : சோழர்) were one among the most prominent rulers of India, who built several Shiva Temples around the world, many of these are still in existence. 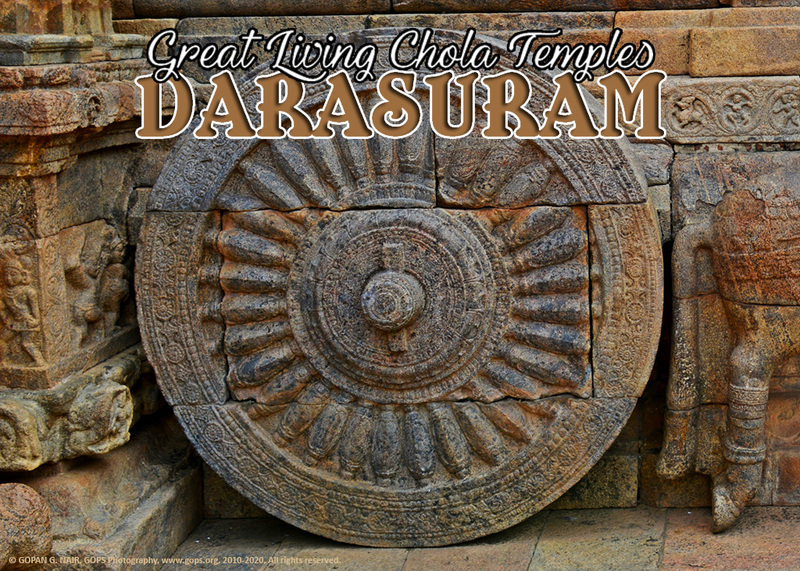 ‘The Great Living Chola Temples’ the name given to a group of three architectural marvels built by the Chola Kings, still exist at Thanjavur, Gangaikondacholapuram and Darasuram in TamilNadu. 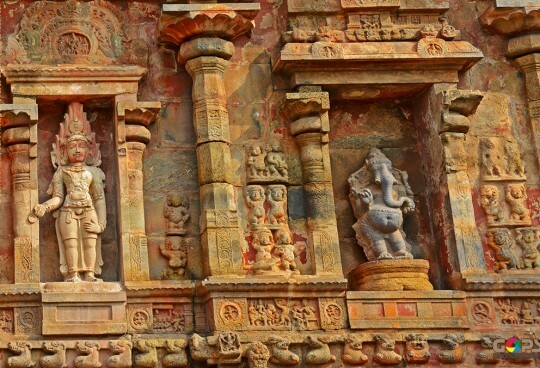 These three temples are unique for their Dravidian architecture and incredible artistic skills. 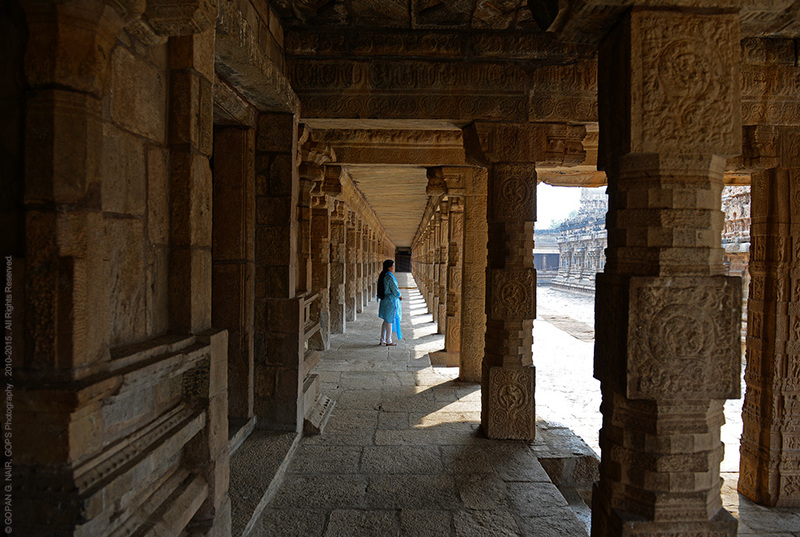 The mighty Brihadeeswarar temple ( Read about it here ) at Thanjavur (Big Temple, Peruvudaiyar Kovil) was completed in 1010 AD by emperor Raja Raja Chola I (985–1014 AD) . Brihadeeswarar temple which turned 1000 years old in 2010 is one of the biggest temples in India and a World Heritage Monument of UNESCO. Rajendra Chola-I (1012-1044 AD) son of the Great Rajaraja-I who believed to have conquered the lands upto Ganga river in North was known as Gangaikondacholan . He was one of the most famous Chola Kings whose Kingdom spread across most parts of Southern India, Sri Lanka, Bangladesh, Sumatra, Kadaram (now Kedah in Malaysia) and Cambodia. 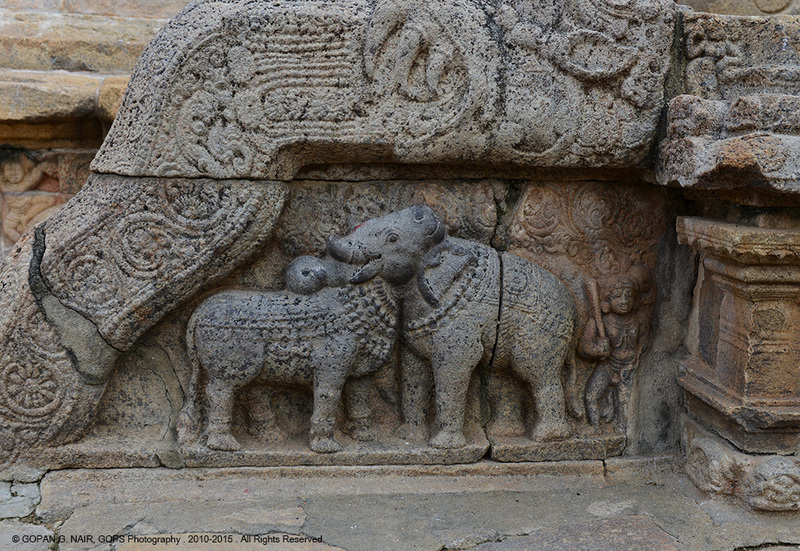 Rajendra Chola shifted his capital to Gangaikondacholapuram near Kumbakonam and built a temple there sometime around 1025 AD which was later known as Gangaikondacholisvaram Temple ( Read about it here ) here. This is also a world heritage monument protected by UNESCO. 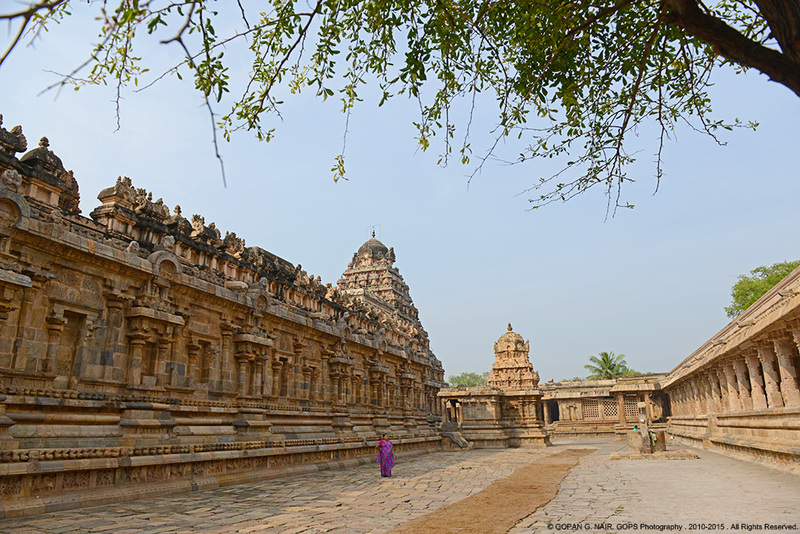 Out of these three temples, Airavatesvara temple at Darasuram near Kumbakonam is an outstanding example of finest craftsmanship and exquisite sculptures. 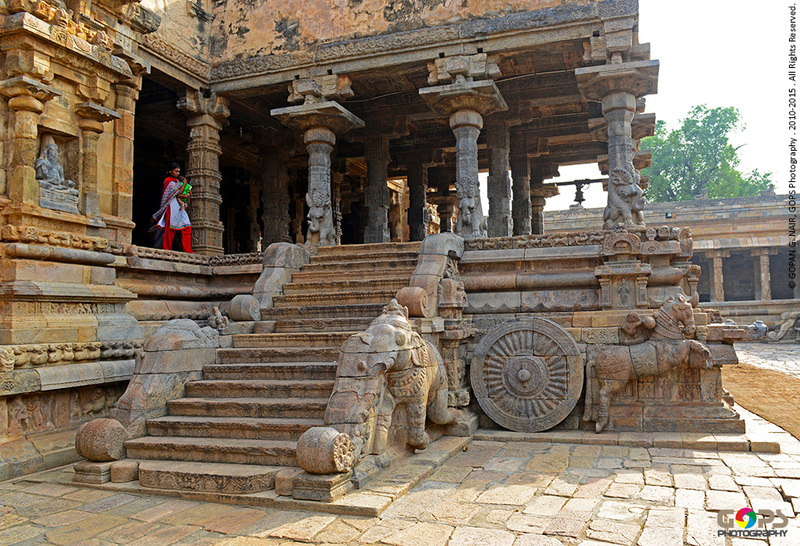 Airavatesvara temple was built in 1150 AD by Raja Raja Chola II (1146–1173) . According to history, Raja Raja Chola II shifted his capital from Gangaikondacholapuram to Palaiyarai and renamed it as Raja Raja Puram . The Temple he constructed here was named Raja Rajeschuram which though the word of mouth evolved into Tharechuram, Darachuram and finally Darasuram. 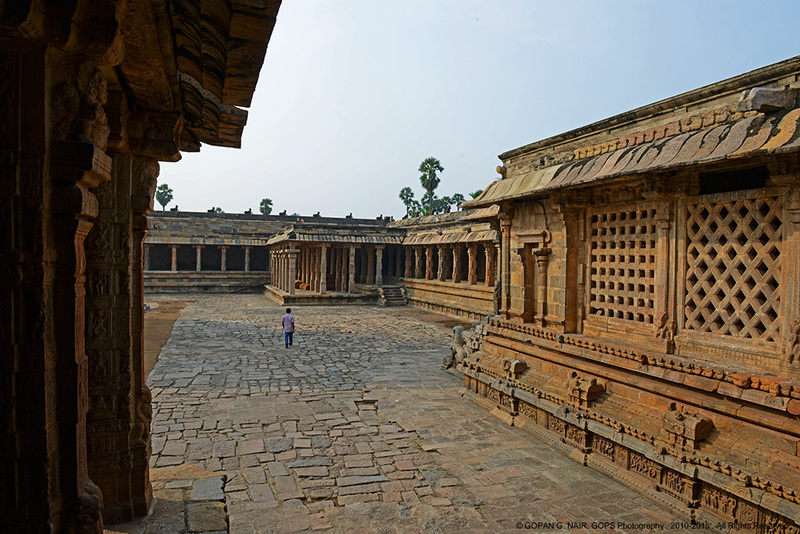 Airavatesvara temple has also been declared as a World Heritage Site by UNESCO. 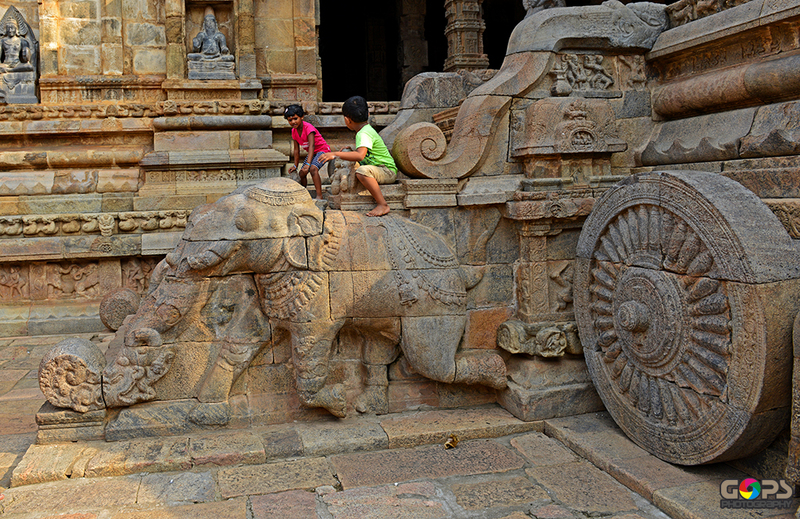 Legend has it that the white elephant Airavata of God Indra lost its colour due to a curse by sage Durvasa . 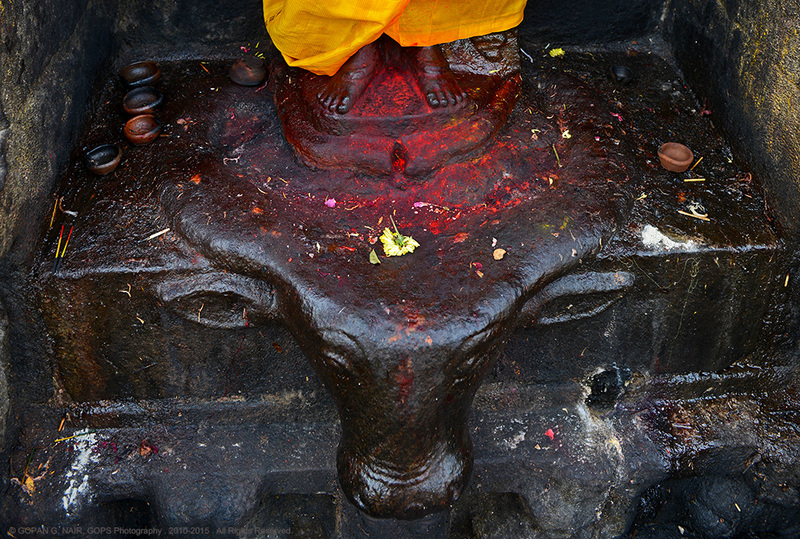 Airavata regained its colour after worshipping Lord Shiva in this temple and hence the deity was known as Airavatesvara. 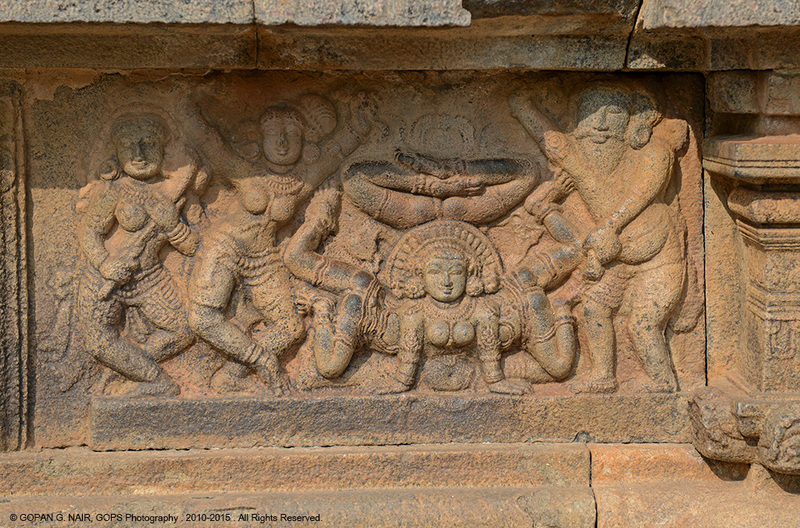 The mukha mandapa of the temple has been ornamentally shaped like a chariot being pulled by elephants and horses. 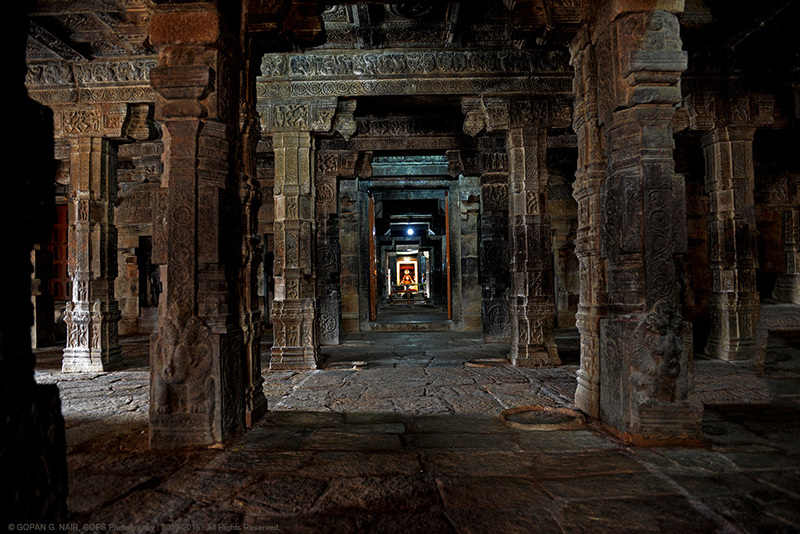 This is followed by the main mandapa & sanctum sanctorum . 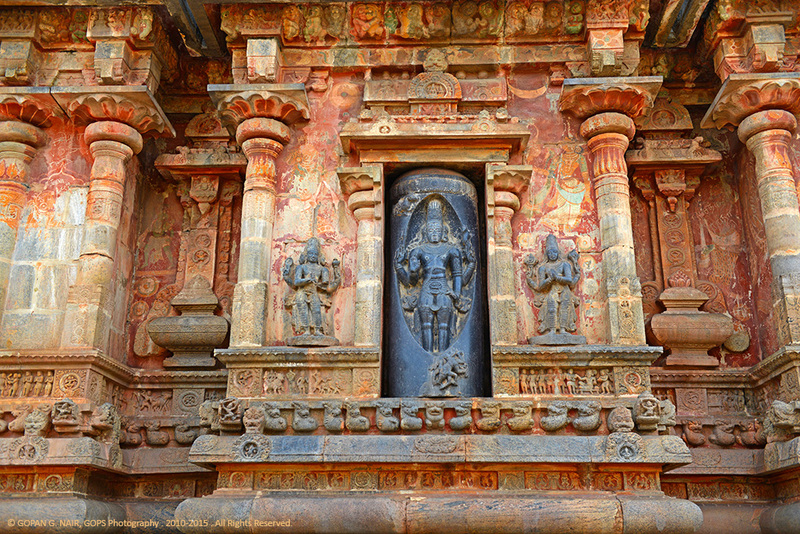 Outer walls of the temple have been filled with intricate sculptures of goddesses and other historical incidents from past. 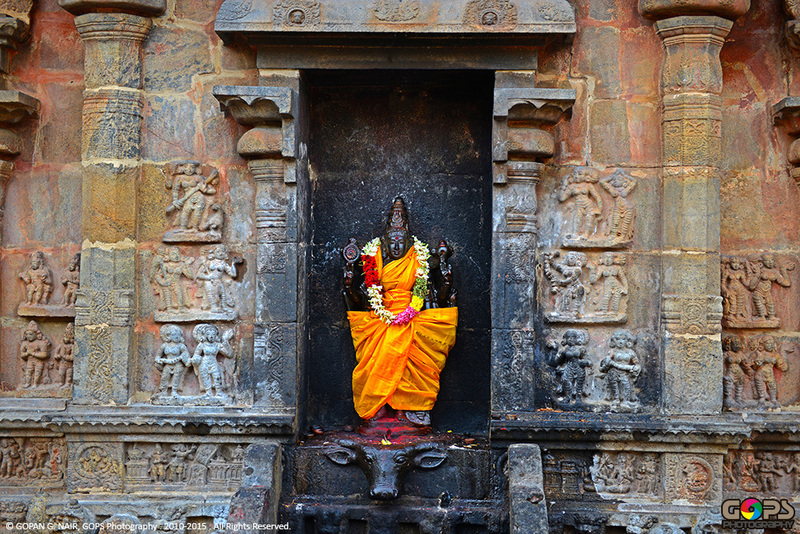 There is a separate shrine for the goddess Deva Nayaki, located next to the sanctum. 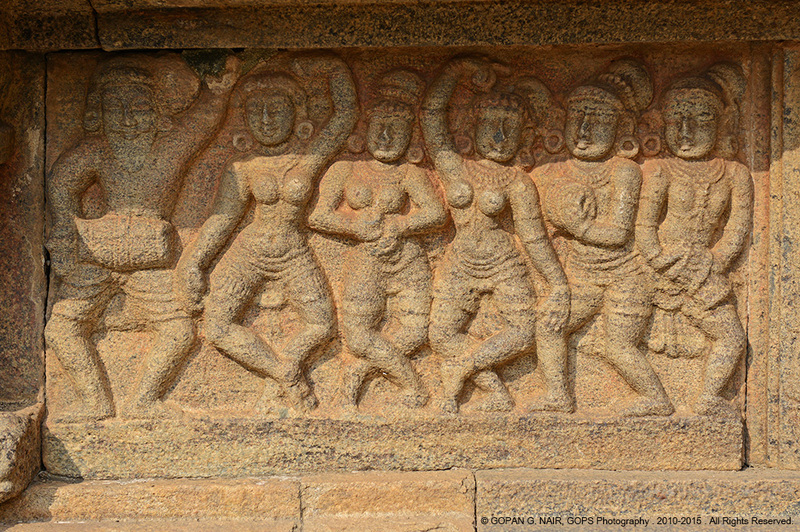 Outer walls have carvings depicting gypsies doing gymnastic stunts, musicians, dancers and illusions. 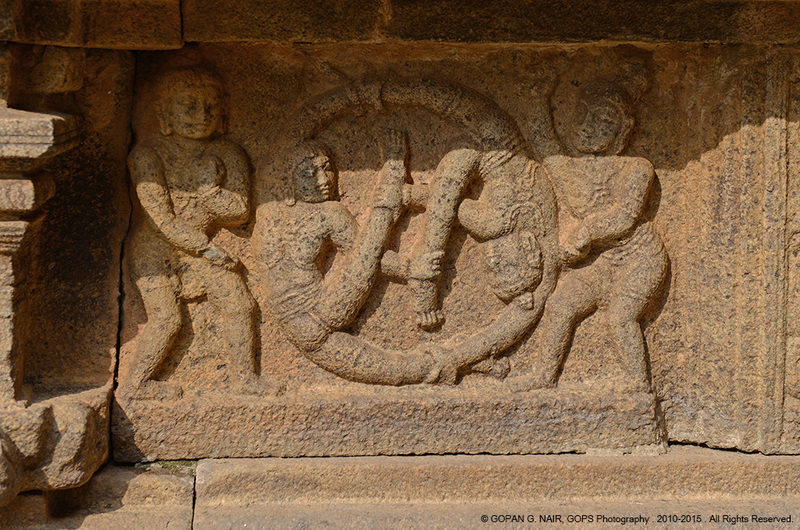 We could also find several sculptures depicting the life history of 63 Nayanmars. 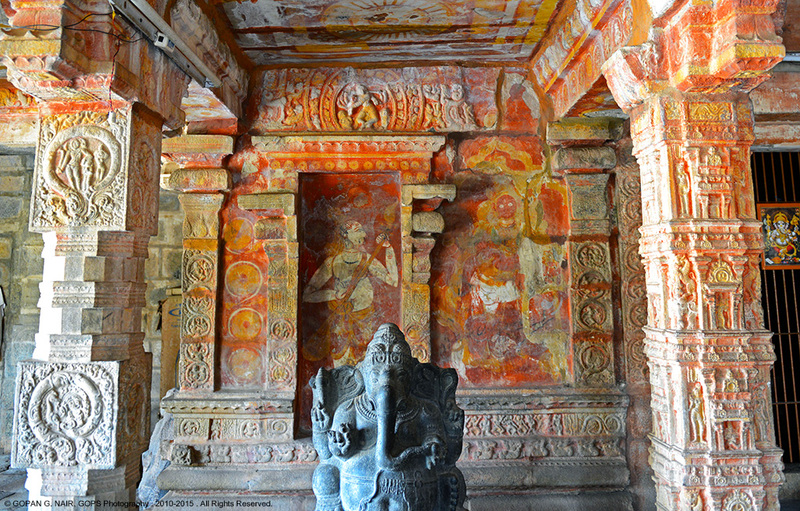 The outer walls of the temple have been decorated with exquisite mural paintings of Chola period , probably got overlapped by those of Nayak period. 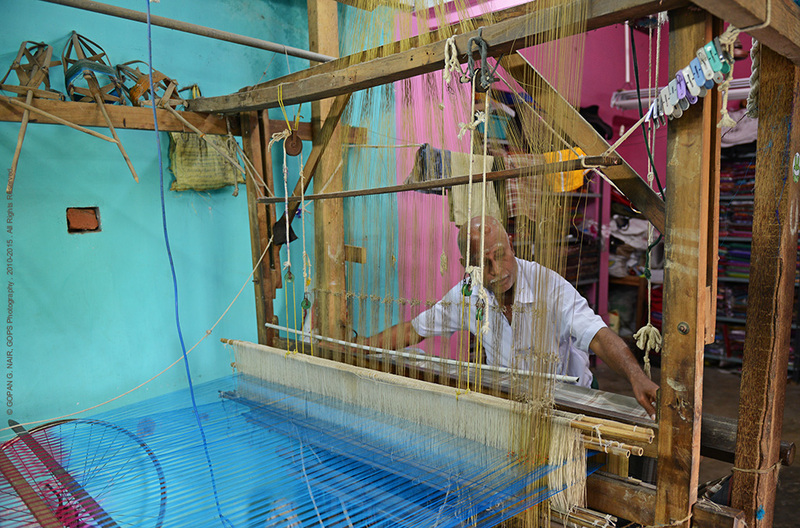 Darasuram is also one of Tamilnadu’s silk weaving centres. We happened to visit a loom in a house near the Airavatesvara temple and the owner was kind enough to give us a demonstration of weaving. Darasuram is situated at Kumbakonam of the Thanjavur District in Tamilnadu . By Air : The nearest airport is Trichy (85 Kms). By Rail : Accessible by train from most cities of Tamil Nadu and lies in the Chennai- Thanjavur track. 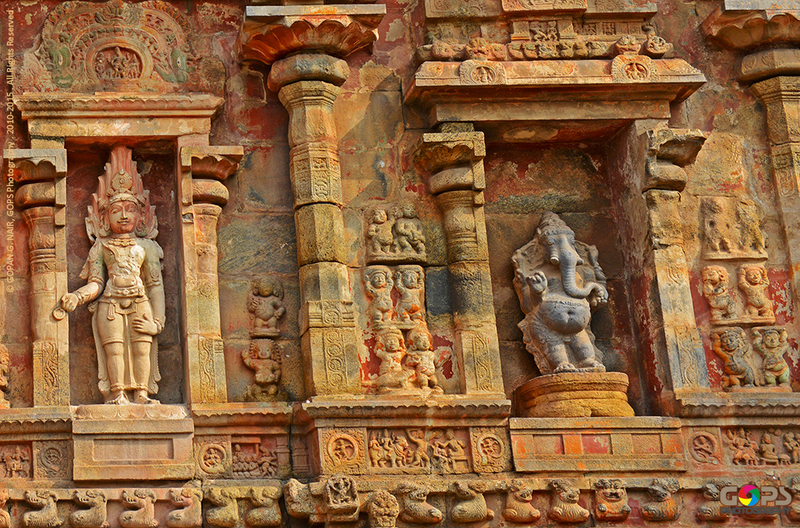 By Road : It is 380 Kms from Chennai and about 35 kms from Thanjavur. Please do not spam this site. A lot of hard work is involved in building it. Appreciate your comments & thanks once again for your constant support. This is simply fabulous, Gopan !!! I had been there in 2001. Your article makes me longing for a re-visit. Thanks for sharing !!! Thank you very much, dear Ezhil Sir. I really appreciate your constant support, guidance & encouragement. Wondering what is the reason for more views for this particular blog out of 3 in the series. Really interesting articles on the great Chozha kingdom and perfect pictures supporting it. Thank you dear Sir, for your comments. Yes, the Darasuram blog was published much earlier compared to other pages in this series, and hence the difference in viewership. Thank you very much. I am happy to know that you liked it. I visited the temple last year, truly amazing. I would love to visit again. Your Photos make me to recollect all the wonder I saw. Thank you. Thank you very much for your kind words. Yes, India is truly amazing. Best wishes for your future trips. Dear Sir, I am a painter from Coimbatore and interested in reproducing a few snaps in this page. Kindly let me know about the terms. Thanks for the response. I will send you a personal message. 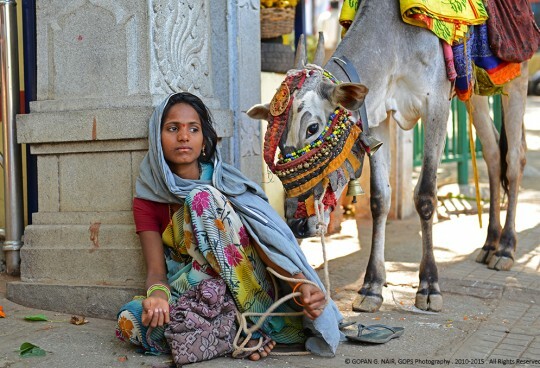 Appreciate your visit & comments. Please do visit again.